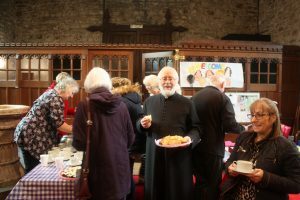 On October 29th 2017 the Diocese of Monmouth celebrated its link with the Diocese of the Highveld in the Anglican Province of South Africa – the rainbow nation. 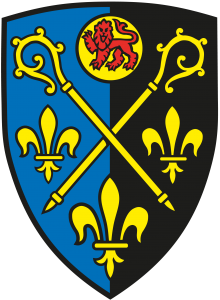 St Mellons is linked with the Parish of St Francis, Alberton. Our link priest is Fr Reggie Venter, who is married to Ann. 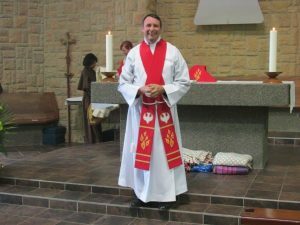 He is also Archdeacon of Katlehong. Our link lay person is Marlinie Kotiah who works for a well known international firm who make bio drinks. Lately the e mails between Fr Reggie and me have been very compassionate and loving due to the illness of my wife. It has been good to know she is being prayed for in South Africa. 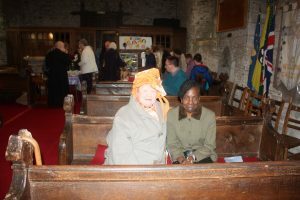 Now I find Ann Venter has been poorly and she has been added to our prayer list in St Mellons, which means that she and Shirley are upheld in prayer every day. 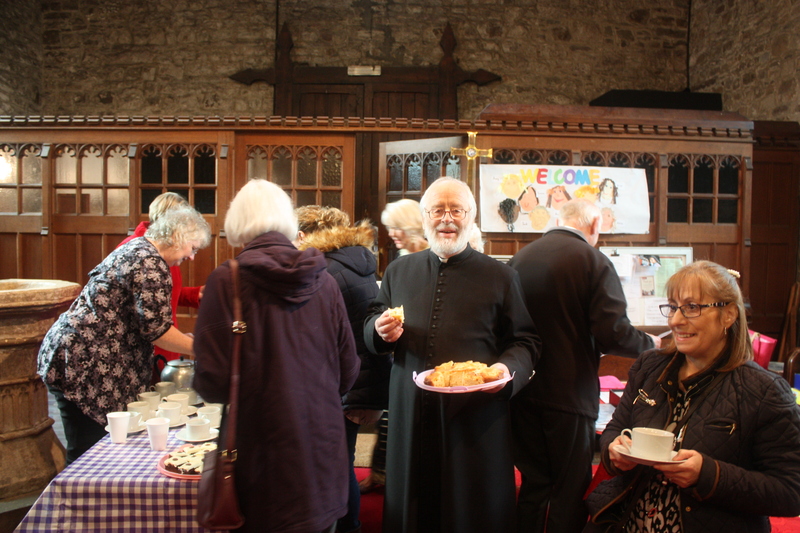 Our service at St Mellons was absolutely wonderful as we linked hands across the continents with St Francis. We began with the choir singing the South African Anthem – in my opinion one of the best in the world, only rivalled by Wales and Italy. During communion the choir sang the Dean of St Dunstan’s (Fr Simon) anthem dedicated to “Daphne”. At the end we processed out to “We are marching in the light of God” with the choir shaking their btms and me ringing china handbells as joyfully as I possibly could. Some people dressed for the day and after the service we had coffee and refreshments – no South African beer sadly. Everybody was very happy and made a joyful noise to the Lord!